If you are looking for a Private Placement Memorandum writer, you found him. 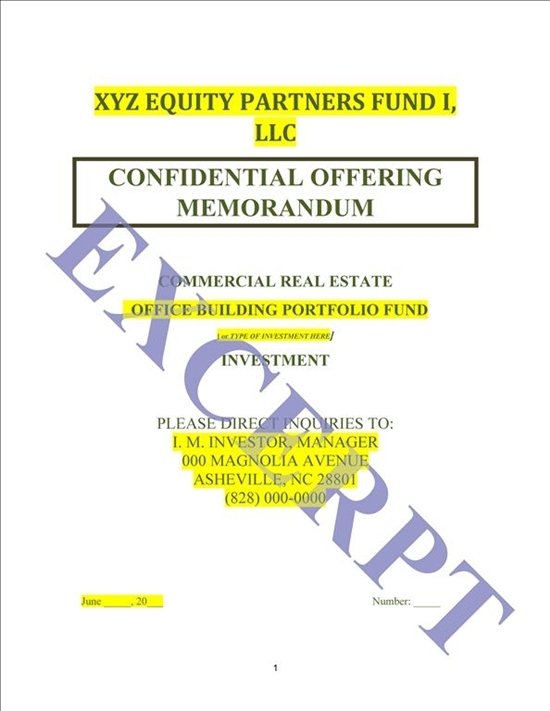 I have developed and written Private Placement Memorandums, for attorney review, for public and private companies across the United States of America and now I can help you for the document necessary to raise capital legally in the USA. 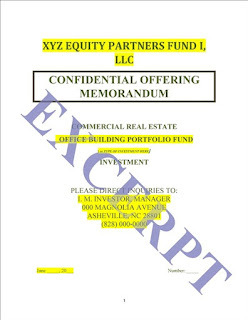 .Basically when you are looking to raise money from family, friends or investors you can do so through this document named a "Private Placement Memorandum" or "PPM" for short. Even though private placement investments are regulated by the Securities and Exchange Commission (S.E.C.) under the Securities Act of 1933 they do not have to be registered with the S.E.C. like a public offering or an initial public offering (IPO). Private Placement investments are generally made pursuant to Regulation D of the Securities Act of 1933. There are various rules under Regulation D which describe what type of investors can be solicited for an investment, how much money can be solicited for an investment and disqualifying factors. In addition to these standard sections (which all have varying rules and regulations to follow) is the Subscription Agreement. The Subscription Agreement is a standard questionnaire to assure the accreditation of your investor.